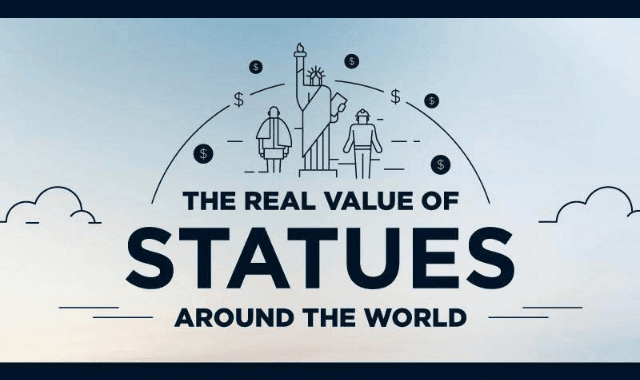 The Real Value Of Statues Around The World #Infographic ~ Visualistan '+g+"
We visit them, photograph them and memorialize them in countless other ways. But just how valuable are some of the most cherished statues around the world? Let's take a look at what they might be worth if they were nothing but scrap metal.